It has been more than a month after my husband’s emergency surgery. He has started slowly moving around the house for the past few days. Still it going to take a while for him to get back his strength. And his optic nerve is also very weak. this concerns us a lot. We are still praying anxiously. 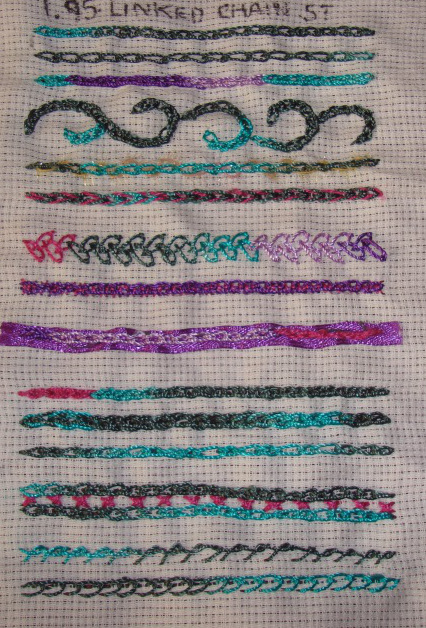 Now with the stitch sampler, which I restarted after 3 weeks. 4.In the first sample. 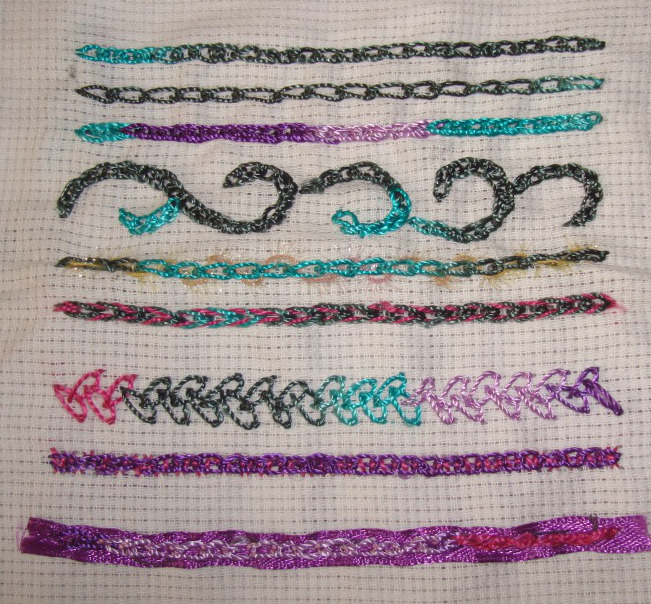 I worked the stitches very closely, I wanted a heavy chain effect. In the second row, the stitches are worked with two strands of this polyester thread. The stitches are worked closely and far alternatively in the third row. 5. 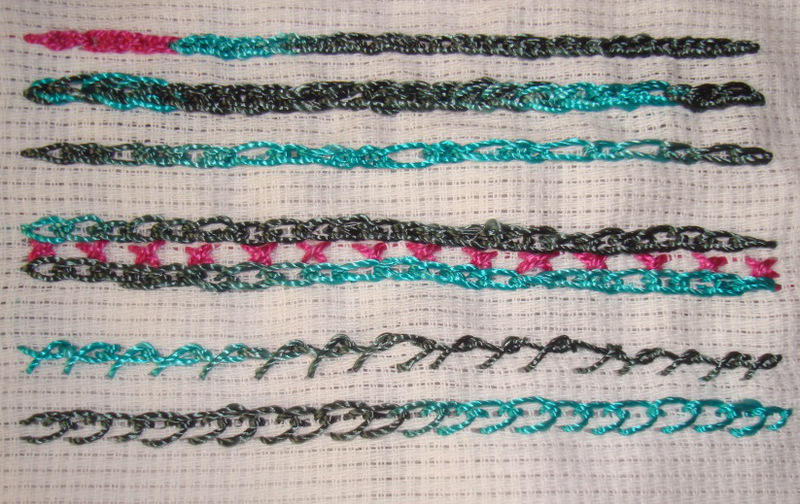 Crosses are worked between two rows linked chain in the first sample. Twisted chains are linked in the second row. Open chains are linked in the last row.